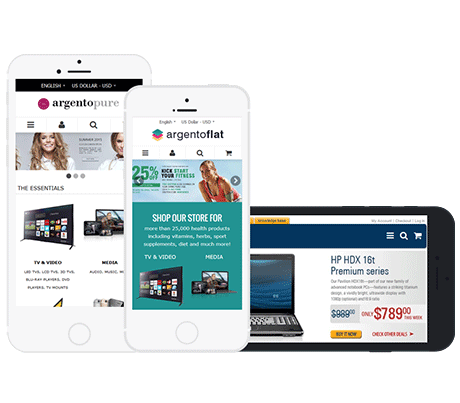 With Argento, you create not just an ecommerce website, but also an exciting customer experience that drives conversion. Are you ready to shift your online business into high gear? We developed 5 unique designs for engaging visual experience. 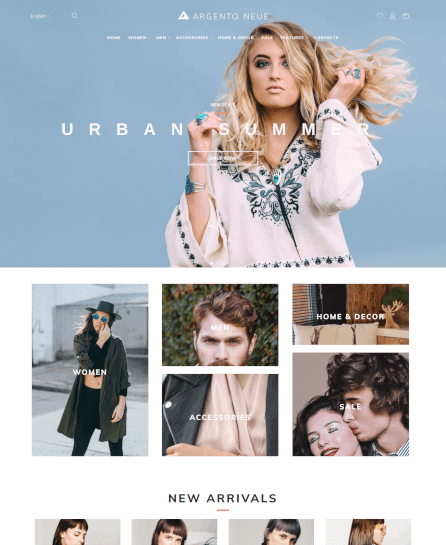 Argento theme adheres to web design best practices, thus you get flat design that focuses visitors attention on the website content. 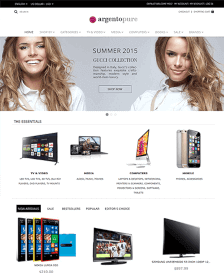 Argento is a responsive template that looks perfectly on every device and on any size screen. The combination of these powerful design trends has a huge impact on time spent on your website. 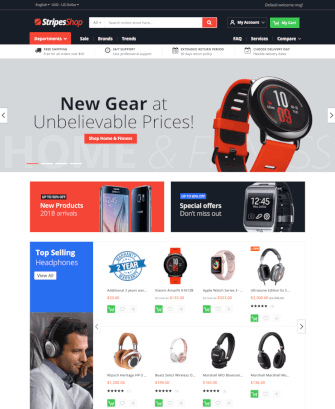 Argento theme is fully optimized for SEO and page load speed. Our template is written in accordance with strict SEO guidelines that help your website generate traffic. With Argento you get SEO-friendly URL structure and HTML improvements for your website. Get Argento installed without paying any extra fee. We provide you with simple installation process. 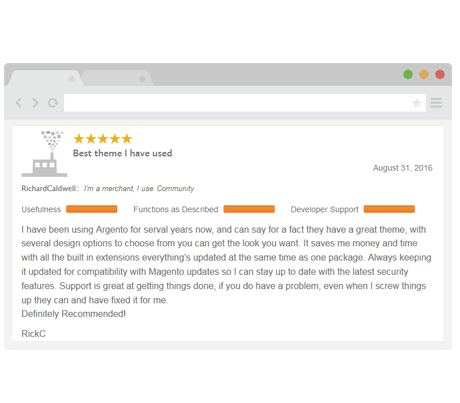 Using our 1-click theme installer you will start with ready-to-use design in a minute. Our developers can also install Argento for you for free. Bring a product discovery process to the next level. With all built-in extensions you receive superior features, versatile configuration, intuitive admin interface. That makes Argento fit to highly-customized store. 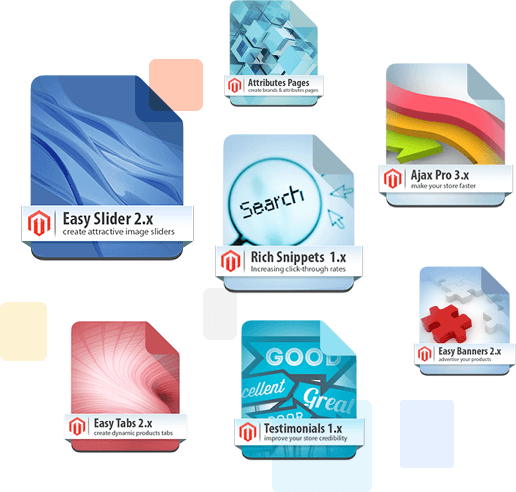 Stop searching Magento extension you need - use the following ones to enhance every aspect of your ecommerce store. Rich Snippets, Ajax Pro, Ajax Search and Autocomplete, Product Labels, Sold Together, Navigation Pro, Suggest Page, Product Questions, Easy Banners, Product Tabs, Image Slider, Lightbox Pro, Easy Catalog Images, Highlight, Testimonials, Attributes and Brands Pages, Facebook Like Button, Review Reminder. We are always ready to help you whatever you need using Argento. In case you have question regarding Magento, you can also rely on our team. 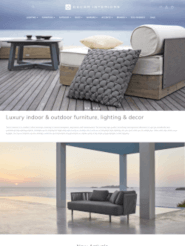 With a template you get small customisation package that allows you to get a look you love. Let us help you change the logo, basic colors or the default text information for you for free. Trust our support team and focus on building your website instead of fixing issues.